The story of our blended family filled with love, laughs, and good meals around the dinner table. 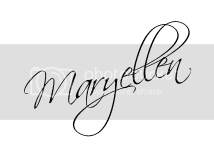 We share our recipes, projects and latest adventures as they happen. From us, to you, with best wishes. Babies and Fur Babies.... The Irony! 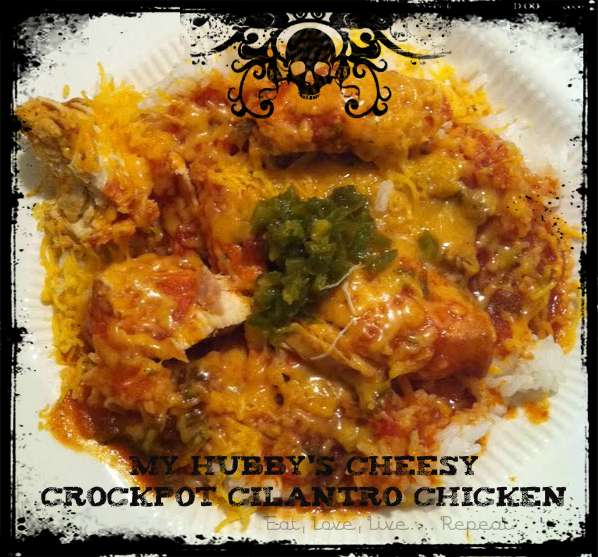 Easy Peasy Crockpot Cilantro Lime Chicken! 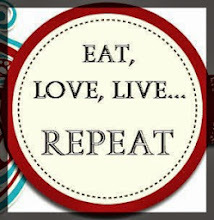 @2013 Eat, Love, Live.... Repeat. Powered by Blogger. 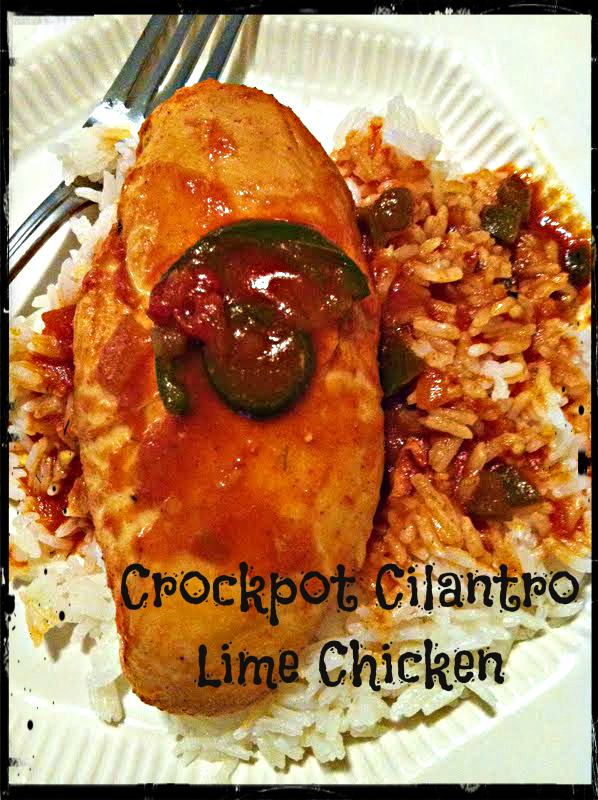 I thought I would share with you my super simple recipe for Crockpot Cilantro Lime Chicken. This is one of those I just spent a whole whopping FIVE MINUTES making dinner - and that's because I took my time! It CAN be a little spicy dependent upon how many jalapenos you add, but it's a great little Mexican- type meal that can be modified in many different ways. The ingredients list is REALLY short, and this pretty much takes ZERO cooking skill! I tossed mine in with some frozen chicken breasts RIGHT out of the freezer. I cooked it on high for four hours. If yours are thawed, cook it on low for four hours - or until you can stick a fork in the chicken and it falls apart when you twist it. If you're going to cook it all day while you're at work, toss frozen breasts in, and cook on low for 8 hours, or until you get home and check the progress of your chicken. My mini me and I prefer it over rice. However, my husband prefers to take his rice and shredded chicken and put it in one of those jalapeno flat bread wraps. If you know my Hubby, you know why the skulls are appropriate! He simply added some cheese over the top of his chicken and rice, and then put a small clump of jalapenos in the center, because he likes it hot! It's SOOO easy, and SOOO yummy! You'll love it I promise! Cuban Ropa Vieja... Another Winner! Gearing Up For Fall, and Removing Tree Sap From Dog Fur... All In One Day! Homemade Mocha Frappes And Veggie Update! Death and Dying: An open letter to a little girl who lost her Daddy.